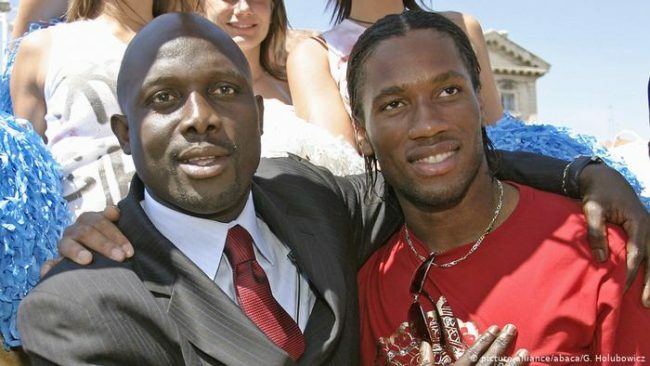 President George Weah, Eto’O , Drogba, Others To Play At Gov Ambode Farewell Football Match. The Chairman Organising Committee for ‘The Match’, Nigerian ex-international, Wahidi Akanni, in a statement in Lagos on Wednesday, disclosed that the game was aimed at giving Ambode a befitting farewell. “Gov. Ambode has served Lagos meritoriously for four years, so the match will be played at the newly remodelled Onikan Stadium on May 18, which is 11 days to his final handover on May 29. Others who will play on the side of the African legends are Michael Essien and Samuel Eto’O Fills, ” Akanni said. This is to spice up the game aimed to celebrating the sports achievements of Ambode in Lagos State. The U-15 games are aimed at raising awareness for grassroots football development, which has gained prominence across the country. Next articleSudanese Force President Omar Al-Bashir To Resign.